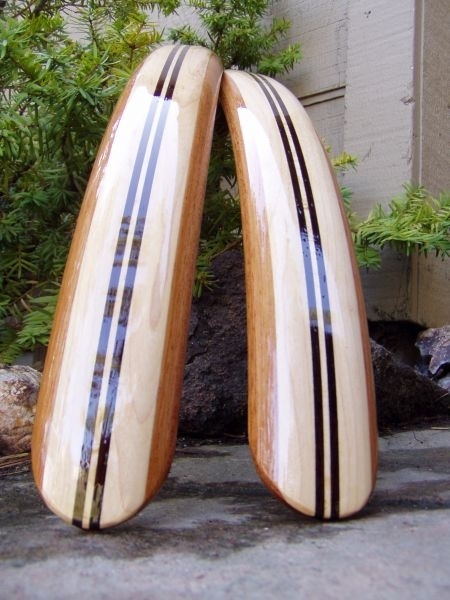 Fully shaped compound curve wood bicycle fenders handmade in the USA. Complete set front and rear with hardware. This set is built from Maple, Wenge inlay, and Padouk. Comes with stainless steel and brass mount hardware.